If you’re thinking about a Woodhouse & Law planting scheme but not entirely confident in your ability for aftercare, we’re now offering a bespoke garden maintenance schedule in conjunction with Shoot Gardening. 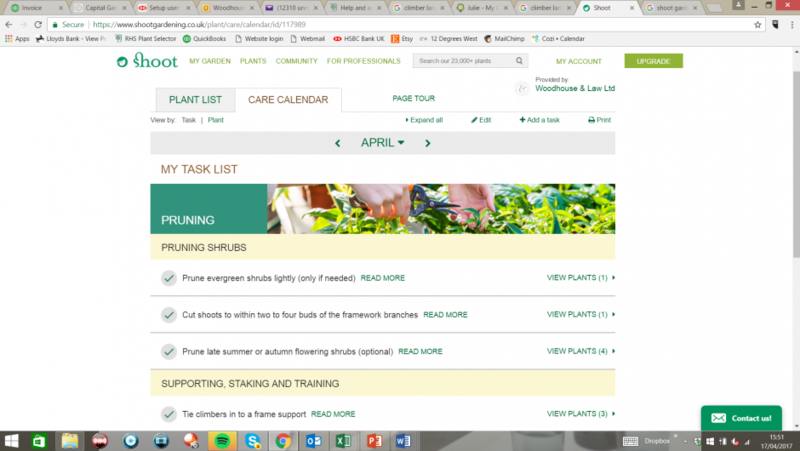 Each month, you’ll receive an email reminder with a personalised care calendar for every plant in your garden to include tips on everything from pruning to training, propagating, fertilising, lawn care and, of course, all-important watering. We like to think of it as gardening by numbers, so whatever your green-fingered credentials you can have a garden to be proud of.